All four of these recipes use chicken as the source of protein, but you can also substitute the chicken, shrimp, or beef for the first two if you prefer. 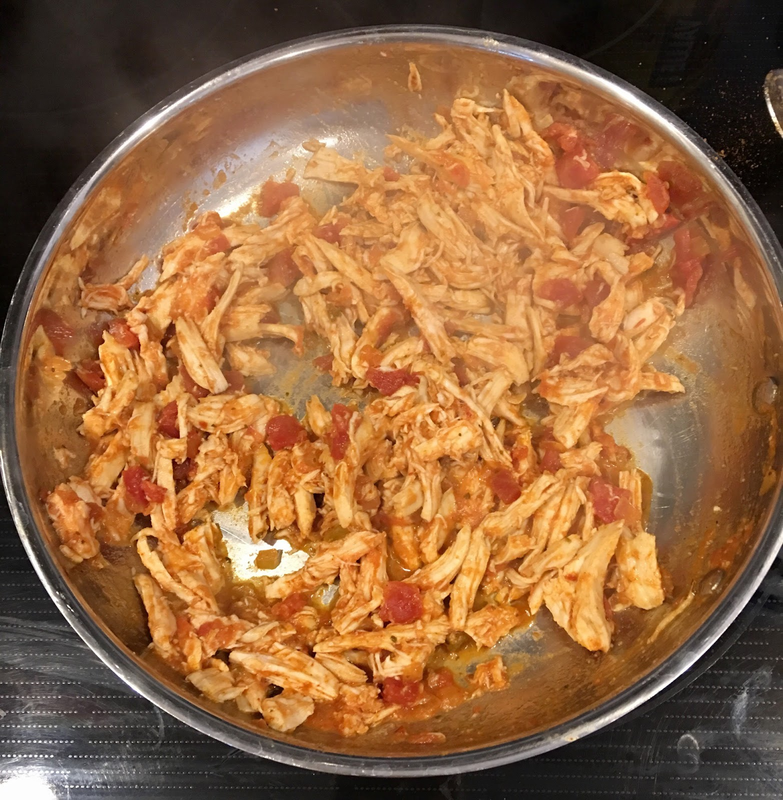 Todd and I both agreed that this recipe was our favorite! 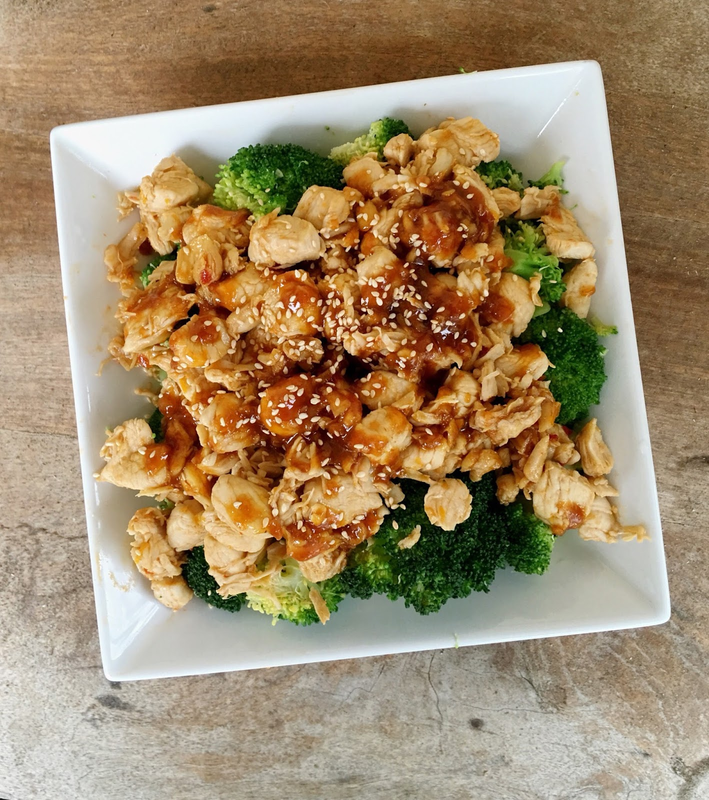 The fresh orange zest and squeezed juice gave it so much flavor and made the chicken super tender, plus, the broccoli gave it the prefect crunch. And just a heads up, I could not find coconut aminos anywhere in the grocery store, so I ordered mine off Amazon here. 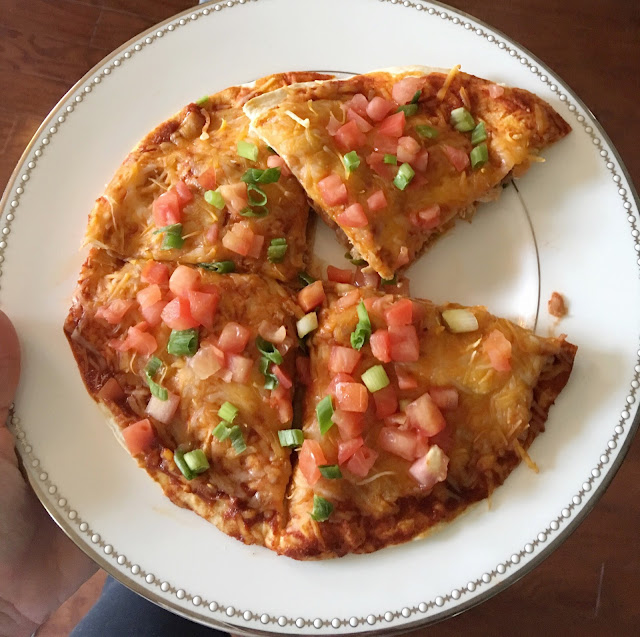 I am not sure exactly how healthy this pizza is, but it sure was delicious :) And I did use the low carb / low fat wraps along with low fat beans and I couldn't tell the difference at all. I must say, this was super filling and I could only eat one and a half slices before I was full. * And for the kids, I just took the heated chicken and salsa and made them chicken and cheese quesadillas with refried beans on the side. 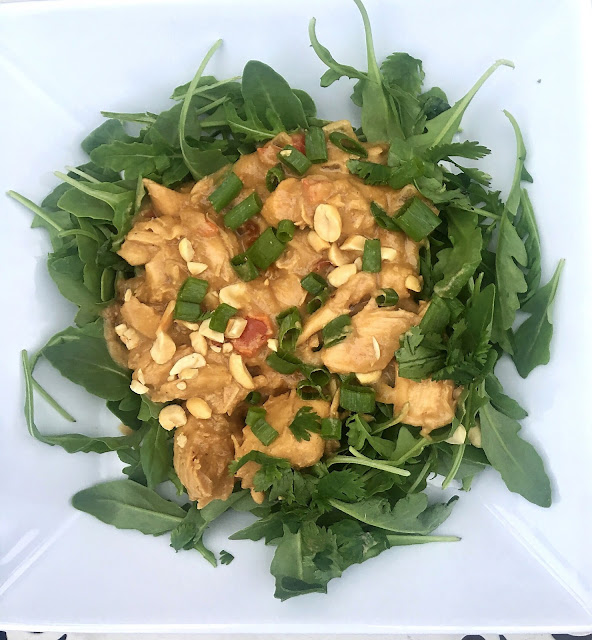 I decided to be really healthy with this one and eat it over arugula, but for Todd and the kids I served it over brown rice noodles. Taylor and Todd loved it, but Carson thought it was terrible :) So his went in the trash and he had butter over his noodles along with two tubes of yogurt. In a bowl combine peanut butter, chicken broth, lime juice, soy sauce, cumin, and curry. Pour this mixture over the above 3 ingredients. Cook in crockpot on high for 3-4 hours. Could be made on the stove top as well. Oh girl I'm definitely saving all three of these! Yum! These all look awesome! I saw the pizza on your Insta Story and told my husband we have to try that, it's the best of all worlds with the low carb, pizza and mexican!